As event organizers in Moynaq made final preparations for an electronic music dance marathon on what used to be the shores of the Aral Sea, local residents began arriving in force. It made for a curious clash of worlds. When the music began playing in earnest, visiting partygoers from Uzbekistan’s capital, Tashkent, and a few foreign revelers danced in a squash court-sized enclosure as bemused townspeople watched on. Grannies in headscarves brought along small children, some of them terrified to tears by the deafening, thumping music. Police and National Guard troops at times pushed back as the crowd closed in. As the partying carried on into the night, wariness faded and locals joined in the fun. The ambition is for the festival, named Stihia for the Russian word for element, to become an annual event — something different for a nation where countercultures have struggled to evolve under decades of authoritarian-tinged conservatism. Organizers made life hard for themselves with the choice of location though. 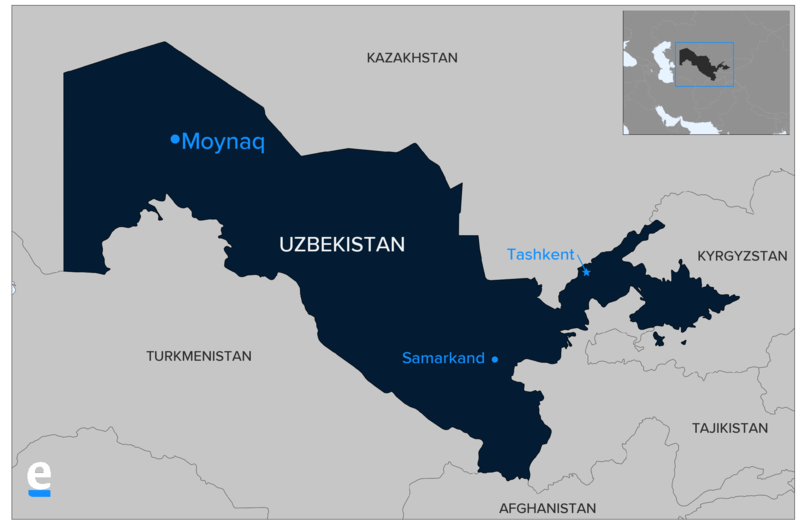 Moynaq is about as far from Tashkent as it is possible to travel inside Uzbekistan. Those who came from afar arrived in Nukus, the capital of the Karakalpakstan autonomous region, where they boarded buses to the venue. The bar near the stage, built inside an old lighthouse, was banned from selling alcohol, but judging from the all-around descent into drunkenness, almost everybody appeared to have brought along their own stash of spirits. The proceedings were marked by several failures along the way, but the crowd made the best of their misfortunes. Attempts to raise a hot air balloon into the sky foundered because of the strong winds. Instead, the gondola was carried near the stage and the propane burned off on the ground in a fire show. It did not seem as though anybody had quite expected so many locals to turn up. Some sniffy outsiders complained after that they had turned the event into an outsized village disco, but it was hard to be so hard-hearted about so many people enjoying themselves. Only then the town hall spoiled the fun. Around 1 in the morning, before the top-billed acts had a chance to perform, authorities swooped in to call an end to the party. It was not clear why the decision was taken, but organizers were quick to cave to demands and the stage was packed up within the hour. Maybe nobody was more disappointed than Moynaq’s residents. 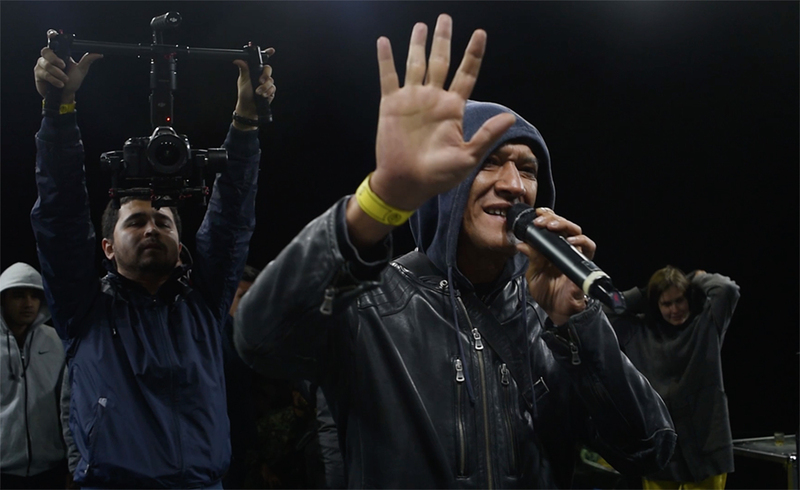 Javohir Zakirov, a well-known Uzbek actor involved in organizing Stihia, addressed the disappointed crowd to promise this was not the end, but the beginning of something bigger. “Friends, this isn’t a goodbye. We will see one another once again. We’ll put on another super concert for you. We promise,” Zakirov said. Peter Leonard is Eurasianet’s Central Asia editor. Danil Usmanov is a photo and video journalist based in Bishkek.